Guaranteed to be as good as new. All products undergo complete HPE remanufacturing and stringent quality testing process, fully restoring them to meet HP certified standards. HPE sets strict quality standards for it’s entire technology portfolio, and ensures that remanufactured products offer the same performance and reliability as new products. 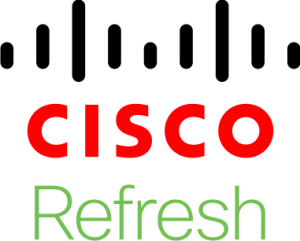 HPE Renew products are covered by the same-as-new full HPE warranty – the same warranty offered with new HPE products. Additional service and support options are available to complement the original HPE product warranty. Once HPE, always HPE. Guaranteed to be as good as new. All products undergo complete HPE remanufacturing and stringent quality testing process, fully restoring them to meet HP certified standards. HPE sets strict quality standards for its entire technology portfolio and ensures that remanufactured products offer the same performance and reliability as new products. 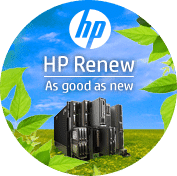 In HP, a remanufactured solution is supplied on more or less all product lines from printers to company PCs to high-end business solutions like servers and switches. 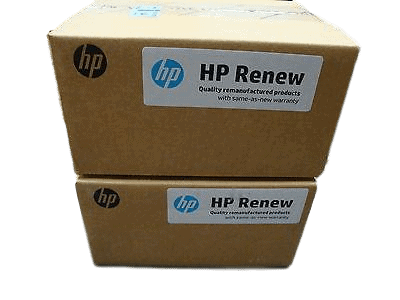 These are goods which were returned to HP for a number of reasons and then put through a rigorous remanufacturing and analyzing procedure to deliver them back to"like new" with regard to performance and condition. 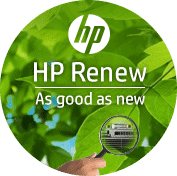 Contact CCNY Tech for the BEST HP Renew value. ut quis, id tempus fringilla vel, Sed leo. sem, consequat.